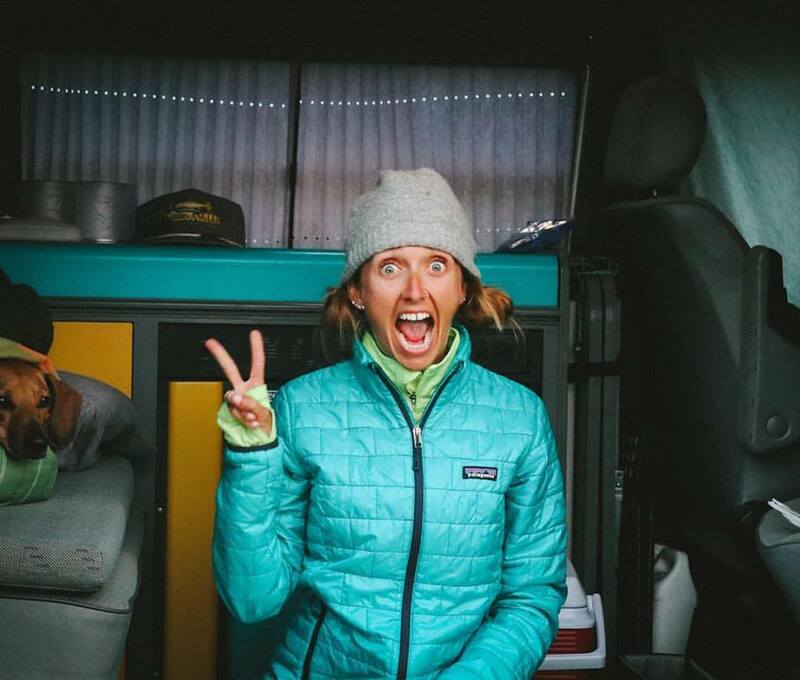 I ran across this website (ZenHabits) off of a friend's blog and this was the first article that was on it... Must be meant for me :) It is a list of 30 Things to Do to Keep From Getting Bored Out of Your Skull at Work. I can't wait to read through it and see if any of the suggestions are something I would like to start up (or already do, hehe). I forgot that I hadn't blogged about this movie yet and thought I should probably do it before I totally forget. Ryan and I went to see There Will Be Blood on Saturday. I didn't know much about it before I went (I thought it was going to be some sort of western), but it was really good. I have heard that it is up for a bunch of awards, which is fitting seeing as it is a riviting film (like those big words?). It is a fairly gruesome and bloody movie (but with BLOOD in the title I actually was expecting a little more gore than ended up on the screen). There Will Be Blood is a 2007 film inspired by Upton Sinclair's novel Oil! (1927). It stars Daniel Day-Lewis and Paul Dano, and was written, produced and directed by Paul Thomas Anderson. Daniel Plainview (Daniel Day-Lewis) begins as a silver prospector in 1898, when he discovers oil in one of his silver claims. He soon earns enough money to build a small drilling company. One of his workers is killed in an on-site accident, and his infant son is left an orphan. Plainview takes the child as his own, and begins a much larger enterprise, using the boy, whom he names H.W. (Dillon Freasier), as his nominal "partner" to project his status as a family man and a family businessman. By 1911, he is one of the most successful oil men in California. Check out this article for some new date ideas. But dating for long-term couples comes with its own new his-and-her matching set of pressures, especially when kids are in the picture. You no longer have the time to make sure you have five minutes together without interruption, let alone set aside an entire evening to dote on each other. So when the stars are finally aligned — you've cleared your calendars, you've found someone not featured on America's Most Wanted to look after the kids — you want the evening to be perfect, which practically begs for a Murphy's law moment. Don't sweat it. You can lay the foundation for lots of fun nights out (or in) by following these simple save-the-date guidelines. First, make sure that at least every other date gets you out of the house and away from your daily life. Second, be clear about who is doing what planning-wise, or you may end up doing nothing. Finally, take turns organizing your dates. So what if he has no clue which restaurant got the best review? This isn't about planning the perfect evening; it's about having time with the person you love so you can rediscover, talk, laugh, and enjoy each other. What are your thoughts on Branch Out And Love? Funny little survey here, telling you how many five year olds you could take in a fight... I can take on 23, what about you?? I got this through an email and thought it was pretty cool animation so I thought I would post it for all you to see. I have no idea how this is done. The email says that it took the animator about three months. It takes a second or two to start. Just move your pointer out of the way and wait. May have to arrow down a little. 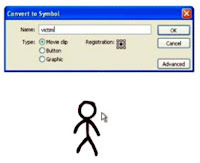 Click here to view Animator vs. Animation. I don't know if you click on my links to other blogs, but if you haven't checked out the SmithGallery link in a day or so, you need to. Emily went to Haiti with CrossRoads as part of a mission trip (to hand out eye glasses and perform eye exams) and she took some AMAZING pictures. Check them out here. Also, check out Mark Cryderman's blog here to read about the trip more. American Foundation for Suicide Prevention was featured in the USA Today. Check out the article in its entirety here. The day after last year's Super Bowl, Gebbia arrived at work to find a flood of phone messages and e-mails complaining about a General Motors (GM) ad with a suicidal robot. As executive director of the American Foundation for Suicide Prevention, he figured he'd better go online and check it out. He didn't like what he saw. He was insulted by the ad — featuring a robot that has a nightmare about losing its assembly-line job — because he thought it turned suicide into a comic punch line. The next day, Gebbia sent a sharply worded letter to GM demanding that the ad be yanked. A day later, he e-mailed a press release to newspapers. Within three days, GM altered the ending and dropped the original ad from TV and its website. Talk about power. Gebbia's tiny organization has an ad budget of zero, a workforce of 31 and an annual budget of $9 million. GM has a $3.3 billion U.S. ad budget, a worldwide workforce of 280,000 and net sales in 2006 of $207 billion. Wide Open Hearts has made its FIRST SALE!! WHOO HOO!! Okay, it was Ryan that made the purchase, but it is okay, it is still funds to charity. If you go to the website you will see that the title of the piece has now changed and it says SOLD after it. This is how I will alert potential buyers of the status of the piece (another one is 'On Hold' for someone). The charity that Ryan has decided to contribute towards is World Vision. You know you want to join the Wide Open Hearts Club!! I found this list of 25 ways to save water at home and thought I would post it. Here are a few easy ones. Check out the rest of the list here. Running tap water to cool it off for drinking water is wasteful. Suddenly the shoreline north of Sydney were transformed into the Cappuccino Coast. Foam swallowed an entire beach and half the nearby buildings, including the local lifeguards' centre, in a freak display of nature at Yamba in New South Wales. One minute a group of teenage surfers were waiting to catch a wave, the next they were swallowed up in a giant bubble bath. The foam was so light that they could puff it out of their hands and watch it float away. Boy in the bubble bath: Tom Woods, 12, emerges from the clouds of foam after deciding that surfing was not an option. It stretched for 30 miles out into the Pacific in a phenomenon not seen at the beach for more than three decades. Scientists explain that the foam is created by impurities in the ocean, such as salts, chemicals, dead plants, decomposed fish and excretions from seaweed. All are churned up together by powerful currents which cause the water to form bubbles. These bubbles stick to each other as they are carried below the surface by the current towards the shore.. As a wave starts to form on the surface, the motion of the water causes the bubbles to swirl upwards and, massed together, they become foam. The foam 'surfs' towards shore until the wave 'crashes', tossing the foam into the air. Wide Open Hearts is an idea that I had that combines my creativity with my heart for others. It started with Mod Podging a few empty glass jars that I had, and hopefully will evolve into something much bigger. The funds raised through the sale of my pieces will be funneled directly into charities (and the buyer even gets to choose which of the accepted charities their purchase will go toward). When I began I was simply making pieces that I loved, but I am totally open to special orders (i.e. specific colors you would like, size of the piece, etc). My mind is wide open to the possibilities that will come my way and I hope that this is one avenue that will help you to have a wide open heart. And for his efforts, Prince, universally regarded as one of the most diversely skilled small forwards, will not be selected to the Eastern Conference All-Star team for the sixth straight year. "I am never going to be recognized as an All-Star player unless I put up numbers," Prince said after practice Sunday. "In this league, they won't say that, but you have to put up numbers to be an All-Star. If there was ever a situation where you didn't have to put up numbers to make an All-Star team, I would have already been on one a long time ago." 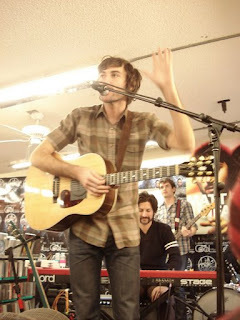 Ryan and I went to Lou's Records on Saturday for a 'free' concert by Matt Costa. It was originally scheduled to be an outdoor concert and it would be free, but because of all the rains, they had to move it inside the store and they were having people buy the CD to get admission (which was still cheaper than an actual show ticket). I took a bunch of pictures, check them out here. I was playing with the colors, if you couldn't tell. The show was good, although we waited for 2 hours for them to actually play, but it was okay. They didn't play any of their old stuff, just the songs from the new CD, but it was still cool. Ryan and I were right up by the stage so the pictures are real close. Check out some of his music here. A vending machine for medical marijuana and other prescriptions is making its debut in Los Angeles. Soon the cannabis dispensers will be available throughout California. Jennifer Sabih reports. Check out this article. Ryan sent it to me. It is about Tony Gonzalez, a tight-end for the Kansas City Chiefs going vegan. There are also a few facts about other athletes (mixed martial arts fighters and basketball players in there). The protein-rich bounty of the football training table is supposed to grow the biggest and strongest athletes in professional sports. Kansas City Chiefs tight-end Tony Gonzalez was afraid it was going to kill him. "It's the Catch-22," says Mr. Gonzalez, 31. "Am I going to be unhealthy and play football? Or be healthy and get out of the league?" So last year, on the eve of the biggest season of his career, Mr. Gonzalez embarked on a diet resolution that smacked head-on with gridiron gospel as old as the leather helmet. He decided to try going vegan. Check out this gallery of shoes that Ryan and I are going to go look at tonight. 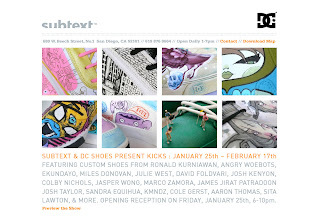 DC Shoes has teamed up with Subtext to bring you Kicks, an art show featuring custom painted shoes by 17 different artists from around the world. Each artist was given a pair of DC “Gatsby” Canvas shoes to create their own original version, and the shoes will be availble for purchase from January 25th - February 17th. Subtext & DC Shoes will be donating 25% of the sales to the American Red Cross to help the Southern California wild fire relief fund. 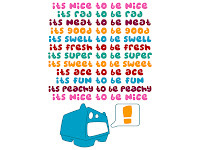 Maybe my mood is because of the crazy Southern California weather :) Check out the story on AOL that I found about it. POINT MUGU Calif. (Jan. 25) - A powerful winter storm that unleashed a thick blanket of mountain snow, heavy rain and at least one tornado pounded Southern California for a fifth straight day Friday. By Friday morning, Long Beach had received 2.43 inches of rain, compared to 2.1 over the previous 12 months, Meier said. Downtown Los Angeles had received 2.25 inches and Santa Barbara was drenched with 5.4 inches. Higher up, Mountain High ski resort received 18 inches of snow, but was forced to close its slopes Thursday due to high winds. The resort said on its Web site it would reopen Friday. The rest of the story and more pictures here. 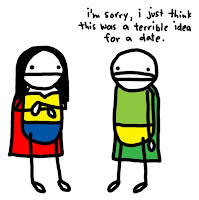 Sorry about the boring and lack of posts lately. Maybe it's the weather, who knows... Just haven't felt like I have had much to share as of late... Hopefully the posts perk up soon :) HAPPY FRIDAY!! 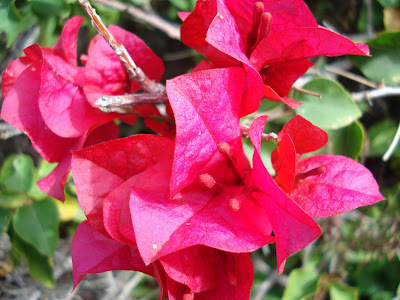 Don't these look like paper flowers?! I know that Christmas is probably one of the lower priorities on your list right now, but in case you are like me and like a bargain (and like to be prepared), then boy do I have a deal for you (NO, I am not an infomercial, but I just thought this was a good deal, hehe). Check out these (red) Christmas Cards from Hallmark. They are on sale for 75% off. 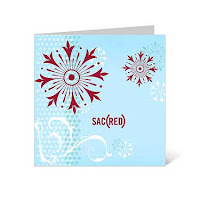 The purchase of these holiday boxed cards support the Global Fund to help eliminate AIDS in Africa through (PRODUCT) RED™. 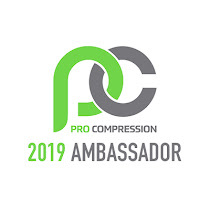 Also, if you purchase them before the end of the month, you can use the Code: FB2007 and receive an additional 20% off your order. 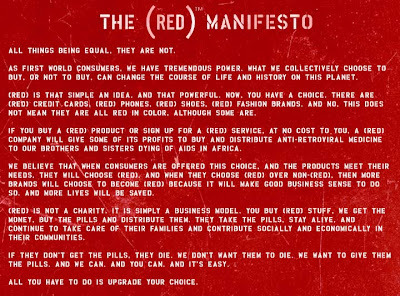 Learn more about (RED) here. I wanted to just take a couple seconds and THANK ALL OF THE POLICE MEN AND WOMEN!! They have extremely hard jobs and put their lives on the line every time they go out on a call. People are quick to judge and criticize police for their work, but it seems those same people are slow to thank the work that the police do to keep us safe. I don't think I would ever have the courage to do something as courageous as they do, and for their sacrifice I would like to THANK THEM ALL FROM THE BOTTOM OF MY HEART!! Bedford High School graduate Andrew Portala's dream of being on national television will come true Wednesday night. His family will appear on ABC's "Wife Swap." Mr. Portala, 45, is a 1980 Bedford graduate and a magician by trade. His stage name is Andrew Martin. Along with his wife, Melissa Portala, 44, and his two children, Eli, 10, and Emma, 8, he lives in Toledo. "Wife Swap" features two families with different values who are chosen to participate in a two-week challenge. The wives from the two families switch lives in order to discover what it's like to live another woman's life. The couple was first notified in October, 2006, that they were candidates to appear on the show. ABC was looking for a "magical" family and after many interviews and trips to the family's home, the Portalas were selected for the show. I heard about this on the radio and thought I would pass along the info in case any Padres Fans read this blog. Celebrate the start of the 2008 baseball season at the Padres 2008 FriarFest! Tickets are available now online at padres.com for this two day event, which will be held on Saturday, January 26 and Sunday, January 27 from 10:30 a.m. - 3:00 p.m. at PETCO Park. Come kick off the 2008 Season with Padres players, coaching staff and front office executives and enjoy autographs, clubhouse tours, the Padres Annual Garage Sale, interactive displays and much more. Tickets are only $5 and children five and younger will be admitted free. Don't miss it! Check out the website here to get more info or to buy tickets. 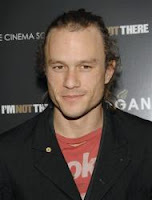 NEW YORK (AP) — Heath Ledger was found dead Tuesday at a downtown Manhattan residence, and police said drugs may have been a factor. He was 28. NYPD spokesman Paul Browne said Ledger had an appointment for a massage at the Manhattan apartment believed to be his home. The housekeeper who went to let him know the masseuse had arrived found him dead at 3:26 p.m. 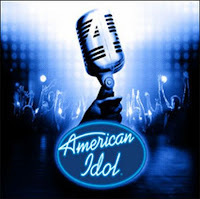 I normally don't watch American Idol, but I think tonight (if I am not asleep from the NyQuil) I will try and catch it. The reason tonight is different, you may ask. This season is the first time that they casted from San Diego, and tonight is the airing of that casting. I won't know anyone on there, but I still think it might be interesting. Way to go Whole Foods!! They are planning on eliminating disposable plastic grocery bags by Earth Day of 2008. 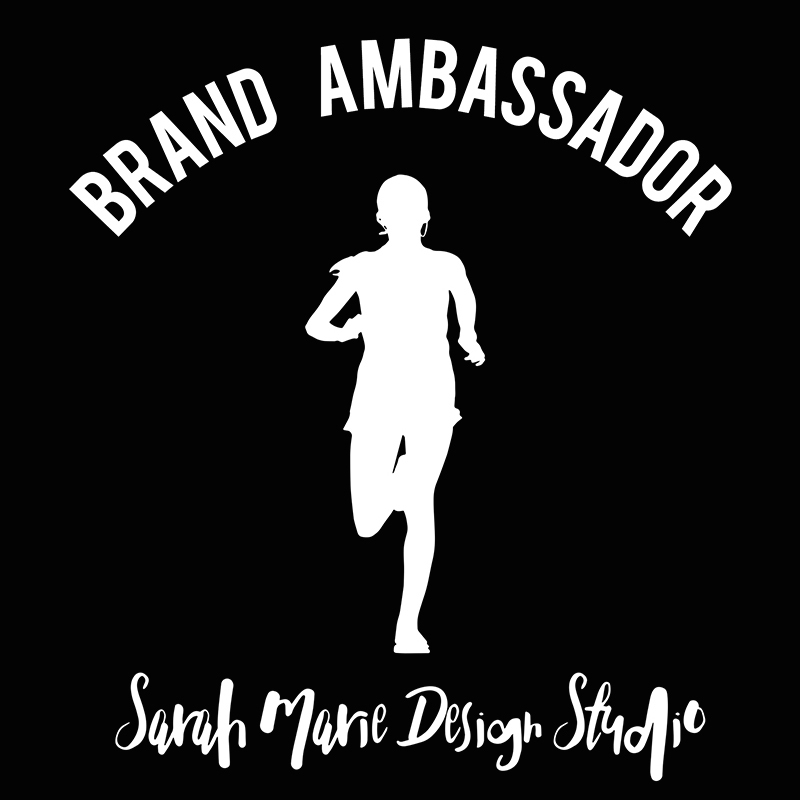 Check out their site here. We’re going all out for reusable! “Paper or plastic?” is soon to be a question of the past at our stores. When you come to shop, bring any bags you have on hand. Really, any bag will do – old, new, paper, plastic, fabric, even backpacks or woven baskets! You’ll feel good about helping our environment and we’ll even give you a refund of at least 5 cents per bag. We make it easy by offering a wide selection of reusable bags for sale at our stores — check out our “Better Bag” — only 99 cents and it’s made from recycled plastic bottles. Helping the environment in two ways! Martin Luther King Jr. Day is a United States holiday marking the birthdate of the Reverend Martin Luther King, Jr., observed on the third Monday of January each year, around the time of King's birthday, January 15. It is one of four United States federal holidays to commemorate an individual person. King was the chief spokesman of the nonviolent civil rights movement, which successfully protested racial discrimination in federal and state law. He was assassinated in 1968. The campaign for a federal holiday in King's honor began soon after his assassination. Ronald Reagan signed the holiday into law in 1983, and it was first observed in 1986. At first, some states resisted observing the holiday as such, giving it alternative names or combining it with other holidays. It was officially observed in all 50 states for the first time in 2000. I can feel it... I'm getting sick... BUMMER!! I am hoping it is just the change in weather and cold air that is giving me this achey throat, but who knows. It seems to feel 'burny' when I swallow, so I am drinking a lot of liquids (Green Machine - Naked Juice is the key) and sucking on some Vitamin C drops... Let's hope I can attack it and conquer it before it goes full fledged. San Onofre State Beach and the famed surf at Trestles are under threat by the proposed Foothill-South toll road. The California Coastal Commission has an opportunity to protect these precious open spaces and coastal resources in October. Let them know that it is unacceptable to allow destruction of a State Park for an unnecessary highway project. The proposed Foothill-South toll road in Orange and San Diego Counties is one of the most environmentally destructive transportation projects in California history. By running 4 miles down the length of San Onofre State Beach, the road would effectively destroy the interior of the park and close the San Mateo Campground. All while threatening the world-class surf at Trestles and driving numerous endangered species towards extinction. YOU CAN HELP!! Go to this link and you can send your own letter to the commission. They will not spam you or sell your name to anyone. This is important! Send your letter TODAY! 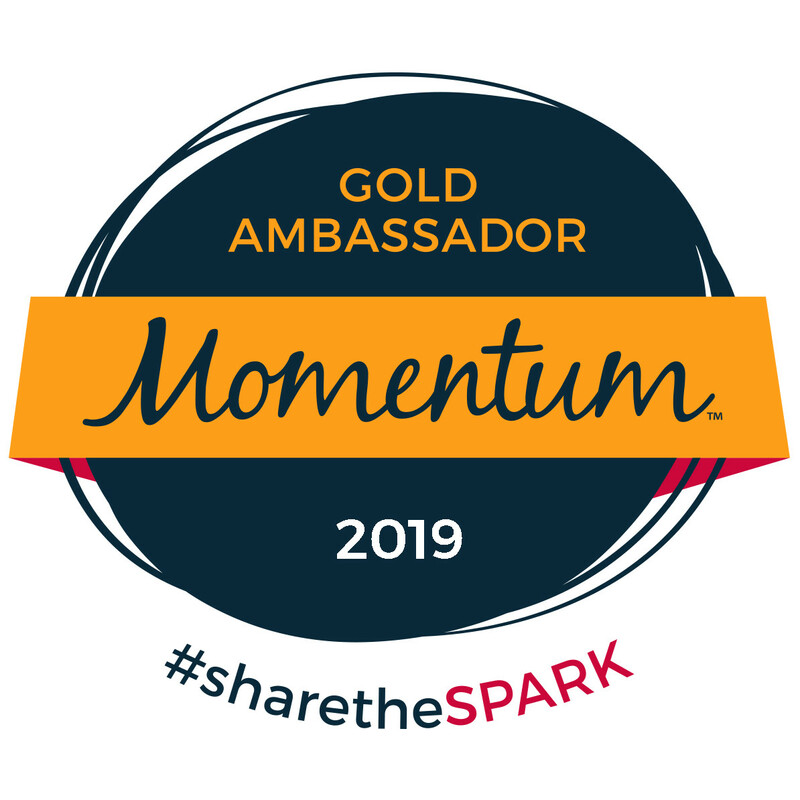 It only takes a minute and the impact could last a lifetime. Peyton Manning & Tom Brady, after living full lives, died and went to heaven. God was showing them around. They came to two modest little houses, one with a faded Colts flag in the window and one with a faded Patriots flag in the window. Peyton and Tom felt very special, indeed, and walked up to their homes. On their way up the porch, they noticed another house just around the corner. It was a 3-story mansion with a powder blue and gold sidewalk, a 50 foot tall flagpole with an enormous Chargers flag, and in every window, a lightning bolt. Well, all she had was a flat tire, but for an old lady, that was bad enough. Bryan crawled under the car looking for a place to put the jack, skinning his knucklesa time or two. Soon he was able to change the tire. But he had to get dirty and his hands hurt. He waited until she started her car and drove off disappearing into the twilight. It had been a cold and depressing day, but he felt good as he headed for home. A few miles down the road the lady saw a small cafe. She went in to grab a bite to eat, and take the chill off before she made the last leg of her trip home. It was a dingy looking restaurant. Outside were two old gas pumps. The whole scene was unfamiliar to her. The waitress came over and brought a clean towel to wipe her wet hair. She had a sweet smile, one that even being on her feet for the whole day couldn't erase. The lady noticed the waitress was nearly eight months pregnant, but she never let the strain and aches change her attitude. The old lady wondered how someone who had so little could be so giving to a stranger. Then she remembered Bryan ..
Hi, all you animal lovers. This is pretty simple. 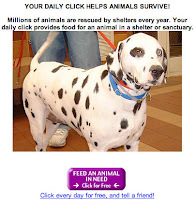 The Animal Rescue Site is having trouble getting enough people to click on it daily to meet their quota of getting free food donated every day to abused and neglected animals. It takes less than a minute to go to their site and click on the purple box "fund food for animals" for free. This doesn't cost you a thing. Their corporate sponsors/advertisers use the number of daily visits to donate food to abandoned/neglected animals in exchange for advertising. A friend of mine emailed this to me... I got a chuckle out of it, so I thought I would pass it along... Happy FRIDAY!! Ryan returns to the Scranton branch of Dunder Mifflin to bring the company into the digital age. Dwight hoped to make things better with Angela by giving her Garbage, the feral cat he captured in his barnyard. She was still grieving the death of Sprinkles, the cat Dwight had put out of misery in her freezer, the week before. Make sure that you note the TIME CHANGE!! This holiday weekend marks your last chance to ride It’s a Small World at Disneyland before the beloved boat ride undergoes a major overhaul. The classic attraction goes down for a 10-month rehab starting Jan. 22, 2008, to replace the original flume and fleet of boats used at the 1964-65 New York World’s Fair, where the ride debuted. Disney Imagineers are still trying to decide what — if any — changes and additions to make to the characters and scenes in the 14-minute show. The new Small World ride at Hong Kong Disneyland adds 30 Disney characters to the attraction (including Mulan, Peter Pan and Aladdin). The Anaheim ride’s long hibernation is scheduled to end Nov. 28, 2008, according to Disney officials. The Mouse still insists the Small World overhaul has absolutely nothing to do with the ever-increasing waistlines of Americans. Malawi has been a wonderful experience in which we have been given the opportunity to reconnect with some old friends who have taught here in Lilongwe for the past 3 years! It has been a blessing to see the work that they have done and to help them in their classrooms as much as possible. And yet while, teaching in Malawi is not much different then teaching in the states, outside the walls of the classroom the reality of Africa can be difficult to understand. While visiting orphanages, feeding babies at a nursery, and walking through villages can be an eye opening experience, there is always the lingering question, why?. Why is Malawi mostly orphans? Why are certain children blessed with food and and ability to attend school while in another village orphans wander the streets? What is God ultimately doing and how can our efforts really help? Does anyone really need our help? When we talk about wanting change and wishing more for people, do we just desire them to have the comforts we are used to? Please continue to pray for safe travels as we are leaving for Mozambique today! Continue to pray for the eyes to see all that God has to show us and for the continued ability to wrestle with all of these thoughts! University of Michigan is ranked #14 in the 2008 poll of Top 100 Public Colleges. 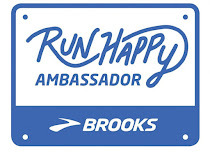 Check out some of the other top runners here. Johnny Depp has donated $2 million to the British hospital that treated his daughter when she was sick last year with kidney failure. Last week, Depp invited doctors and nurses from the hospital to the London premiere of Sweeney Todd. 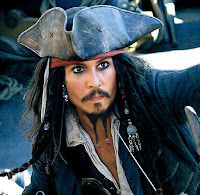 And, back in November, Johnny spent four hours at the hospital telling bedtime stories to patients dressed as Captain Jack Sparrow after having his Pirates of the Caribbean costume flown over from Los Angeles. Depp's daughter mysteriously got E.coli poisoning last year. She's doing well now. I am sure it just made those kids' day... probably year to hear pirate stories told by 'Jack Sparrow'. 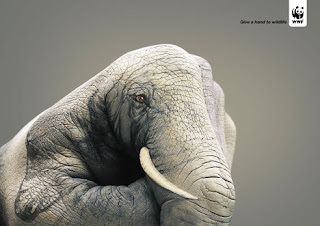 Check out this World Wildlife Fund ad that I ran across on Treehugger.com. Ryan sent this article to me and I just had to pass it along. The pregnancy scandal revolving around Britney Spears' teenage sister, Jamie-Lynn, is being used as part of a campaign to urge pet owners to spay and neuter dogs and cats. Animal rights group People for the Ethical Treatment of Animals are hoping pet lovers get the link between a hard-hitting new Internet video and young Spears. In the film, which has been posted on PETA's website, a 16 year-old girl is encouraged to become sexually active. When the horrified girl asks, "What if I get pregnant?" the parents urge her to "pop out all the kids you can." The ad concludes, "Parents shouldn't act this way. Neither should people with dogs and cats. Always spay or neuter." PETA President Ingrid E. Newkirk insists the ad was filmed before Spears announced she was pregnant last month, but she hopes people make the connection. She says, "Just as (Jamie-Lynn's mother) Lynne Spears is under scrutiny because of her underage daughter's pregnancy, people who fail to spay and neuter their animals should also be feeling the heat." "No one should be bringing more animals into the world when millions of deserving, wonderful dogs and cats are dying for good homes." And to make sure those close to pregnant Spears get the message, PETA bosses have arranged to air the ad on Jamie-Lynn's local ABC affiliate in her native Louisiana, TV network WGNO. 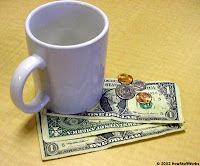 I have been streaming The Coffeehouse radio station on Yahoo.com for the past couple months. It always seems to put me in a good mood. Anyway, today I was listening to John Butler Trio's Better Than and the words just really hit me. I looked up the lyrics, because I thought they were really powerful and wanted to post them so that everyone could read them. I also found the video on YouTube and wanted to post it (especially since most people probably aren't familiar with JBT's music). I hope you take the 3 and a half minutes to watch the video and read through the lyrics. So on top of the Gilmore Girls DVDs that Ryan got me for Christmas, I also asked for a tattoo. I had him draw up a bunch of ideas and I narrowed it down to the top 4 designs and then from there I picked the winner. I got the newest of my tattoos (#4)on Saturday. I thought I would post a couple pictures of the tattoo. I wanted an 'open heart' (one not filled in) so that it reminded me daily to love those around me and have an open hearts towards everyone. 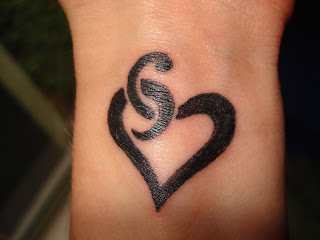 I wanted it on my wrist because I thought that would be a great place so that I would see it often. Also, it is a reminder of I am able to love those around me because Jesus first loved me. The tattoo is also where Jesus was pierced to be crucified for my (and your) sins. 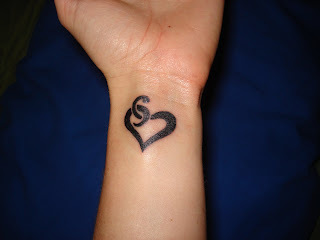 I really like the design, especially because it has my initials in it (CP), and as my mom says, it's very feminine. 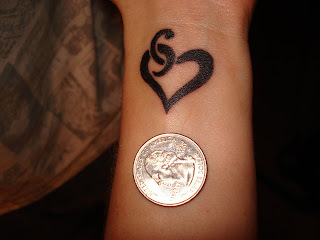 The other 3 tattoos that I have are also all black ink, it holds up better over time and I think that they look crisper. Anyway, hope you enjoy my new ink, I know I sure do :). It seems as though it is very easy to be a Patriot fan these days, an undefeated season is something easy to jump on the bandwagon for, huh? 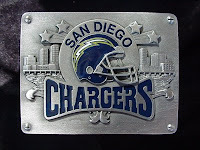 I guess what is getting under all of the Chargers feathers is the fact that the Chargers are getting NO CREDIT! No one thought they would get this far. I understand, San Diego may not win this weekend, but come on, can't you give them a little credit for doing what everyone else thought was impossible up to this point. No one thought we would be able to go into Indy and take down the Colts when we were at 100% health and we beat them (and probably would have beat them with a higher score if the refs weren't so... um.... blind to put it nicely) with some of our key players sitting on the sidelines. Don't get me wrong, the Patriots are a good team, they have to be to have gone this far undefeated, but GIVE US SOME CREDIT, at least give us the chance to go in and fight till the end... It will be OH SO GREAT if all these sportscasters will have to eat their words on Monday, I guess we will just have to see, but come on, GIVE IT UP FOR THE CHARGERS FOR MAKING IT THIS FAR! !